We’re continuing the love fest with Part II of our Love and Garage Doors series. Meet four more of our amazing distributors in today’s blog. If you missed Love and Garage Doors Part I. Seeing the impact we’ve been able to achieve in the community, not just from providing and installing garage doors, but helping others in the community. Whether it is through donating to a charitable cause, or donating materials and services for auctions and raffles, we’re blessed and fortunate to be able to give back. It has been as rewarding as any other element of being involved with this business. Katie said she enjoys the education and social part of the business. It is always memorable when we get to spend continuing our garage door education at conferences and meetings as well as socializing with other distributors. Chris said he enjoys the business side of things. Getting to see the whole picture of running a business. Instead of just one aspect, we get to delve into and make decisions regarding every part of our livelihood. 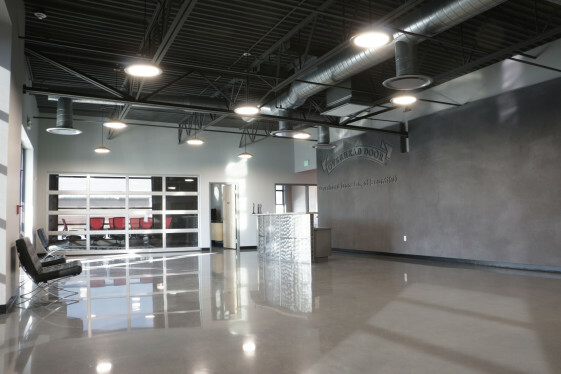 The group sees changes toward viewing the garage door as a statement piece as an upcoming trend for their business. 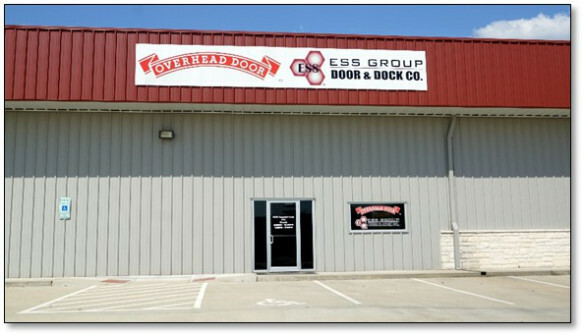 Being in a microbrewery capital, many are now showing interest in Full Vision doors. In addition, the group has seen a trend toward proactive safety measures, particularly when it comes to fire doors. 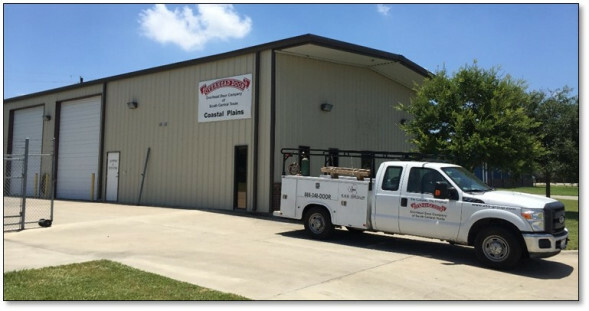 Owning a distributorship allowed the family to hire on Jeff’s father part-time making sales calls. These led to some of the most cherished memories the family has. Mike and Danny had the opportunity to work along-side and learn from their grandfather, who was very mindful of schedules, arriving early to sales calls and always being prepared. A family business is not without its challenges. One of the challenges is to make sure you treat all of your employees as family. As long as people understand the rules and you treat everyone fairly and with respect, it’s not an issue. 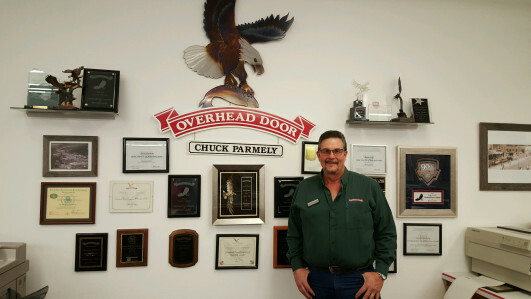 Chuck and Cynthia Parmely met in 1981, when Cynthia began work as a bookkeeper for Chuck’s dad who owned the distributorship before Chuck and Cynthia took over in 1998. The two were married just six months later on April 3, 1982 and will be spending their 34th wedding anniversary at the Overhead Door 95th National Ribbon Distributor Meeting! Chuck and Cynthia’s daughter, Ashley, followed in her family’s footsteps. 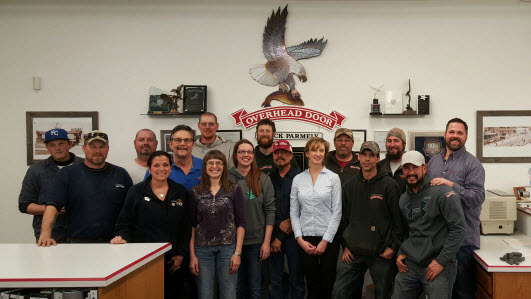 This year will mark her tenth year being a part of the Overhead Door™ Distributor! Even though we aren’t all related, it’s like we are all family here. We joke around with each other and the atmosphere is always light, fun and carefree. James and Ilona Christopherson were high school sweethearts. 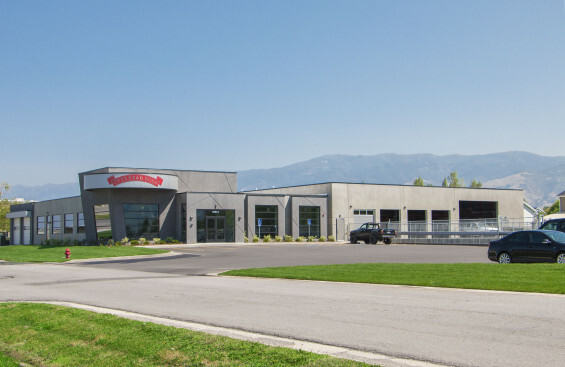 They’ve been in the business for 29 years and their son, David, also works as an integral part of the distributorship. This family has worked hard, and due to this hard work they have grown their business in 12 of the last 13 years, a milestone they’re particularly proud of. I wouldn’t be here today without my families’ help. We want to thank these special distributors for taking the time to share their stories with us. We’re proud to have the opportunity to work with all of our wonderful distributors.